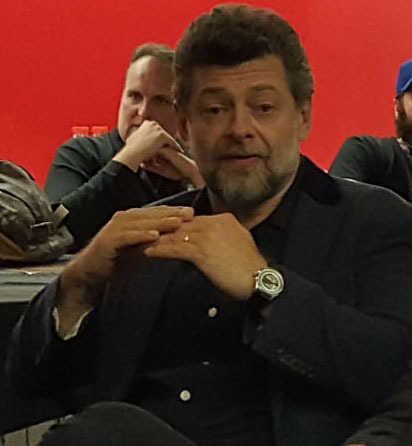 Andy Serkis continues to blow minds with his performances. I, like many others, still wonder why he hasn’t been recognized by major awards organizations for his roles in “Planet of the Apes” (Caesar) and “The Lord of the Rings” (Gollum). An invite went out last year during New York Comic Con to see an “exclusive behind-the-scenes look and film footage from the highly anticipated “War for the Planet of the Apes,” in theaters Summer 2017 (scroll down for the trailer). The following day I caught up with Andy and asked him what challenges did he face this time around? “This was not an easy film to make,” he told me. “It really wasn’t. It was emotionally exhausting. The level that I had to operate on to play this character in this movie, I think, was probably the most challenging I’ve ever had to do in anything because the stakes are so high, the emotions are so raw. “In terms of psychologically where the character’s going, it’s the darkest sort of places you have to put yourself into. What you might not know, but when you are acting and you’re going for it and you’re going for the truth of a situation, you are altering your chemistry as a human being. You’re lying to yourself to take yourself to a place that you believe that this thing is true. 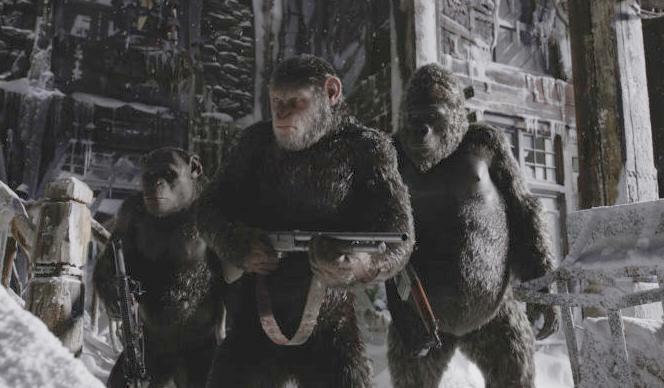 Scene from ‘War for the Planet of the Apes’ with Andy Serkis.